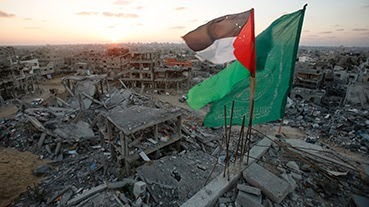 To achieve a durable ceasefire, not only must Israel significantly change its policy toward Gaza, but, no less importantly, Hamas and the Palestine Liberation Organisation must take further steps to implement their reconciliation agreement in order to enable reconstruction and stabilise daily life in the Strip. Some two months after the devastating war that took the lives of 72 Israelis and more than 2,100 Palestinians, its underlying causes remain unresolved. In its latest briefing, Toward a Lasting Ceasefire in Gaza, the International Crisis Group analyses the recent fighting and argues that a more enduring ceasefire is possible. Even as the international community works with Israel and Egypt to facilitate the movement of goods and people to and from Gaza, advancing reconciliation between Hamas and the Palestinian Liberation Organisation is of crucial importance. The international community and Palestinian Authority (PA) must address the salary crisis by ensuring the bulk of civil servants hired since 2007 are paid. A Swiss-Norwegian-UN mechanism, which provides for paying these civil servants during a three-month period while they are vetted to exclude militants and the payroll is rationalised, should be prioritised and implemented quickly. Israel must facilitate access to Gaza in order to enable reconstruction. So long as cement can be accounted for under the rigorous mechanism established to monitor so-called dual-use materials, and assurances are provided that it is not being diverted for uses other than those intended, Israel should not block the mechanism even should it discover tunnel construction that has utilised cement acquired through some other means. Palestinian reconciliation should be maintained and deepened. While the Palestinian Authority’s dependence on Western funding means that reconciliation can advance only in adherence with Quartet Principles, much can be done: PLO reform, the social aspects of reconciliation, personal and political freedoms for Fatah in Gaza and Hamas in the West Bank, reactivating the Palestinian legislature, and overseeing Gaza reconstruction by the factions. Donors must do more than merely pledge money, which will achieve little if projects they fund cannot be implemented. Donor states must press both Israel and the Palestinian Authority to do their part for Gaza. “If a stable modus vivendi is not reached, the new PA government is at risk of collapsing, and with it, reconstruction, development and short-term stability for Israel and for Gaza”, says Nathan Thrall, Middle East Senior Analyst. “Palestinian reconciliation is not a sufficient condition for achieving a sustainable ceasefire, but it is a necessary one”. “A representative Palestinian leadership is necessary for any implementable agreement with Israel, be it for the short, medium or long term”, says Robert Blecher, Middle East and North Africa Acting Program Director. “With two-state negotiations in hiatus, a more stable, durable ceasefire could provide the opportunity to rethink the diplomatic process necessary for any true peace”.